Dan Strickland had never questioned the name of the bird he’d studied since the 1960s. “I grew up calling it the grey jay like everybody did,” says the retired Algonquin Provincial Park naturalist. Strickland knew that once upon a time, the grey jay had been known as the Canada jay. But the American Ornithologists’ Union (AOU), as it was then called, had changed the name in 1947 to grey jay. (In 2016, the AOU merged with the Cooper Ornithological Society to form the American Ornithological Society, or AOS). The AOU was the authority on common names for North American birds. They must have had a good reason for the name change, Strickland supposed, and that was that. But in 2016, when Canadian Geographic recommended that the grey jay be made Canada’s official national bird, Strickland’s curiosity was piqued. The first printed reference to the Canada jay dates back to 1831, but even before then, the bird had Canadian connotations. French zoologist Mathurin Jacques Brisson identified it as Le geay brun de Canada in 1760 and famed Swedish naturalist Carl Linnaeus later gave it the Latin binomial Corvus canadensis—Canadian crow. So why did the AOU change the name from Canada jay? Strickland asked around the ornithology community. Nobody seemed to know. Strickland started to dig for more information and discovered the existence of an AOU archive in Washington, D.C. Determined to get to the bottom of the name change, he went to Washington. Since 1886, the AOU has maintained bird “checklists” which list the birds of North America and their English names. Strickland delved into the old meeting minutes of the AOU and found the society often bowed to pressure from the ornithological community to change the names of various birds over the years. In 1957, the AOU decided to restore the old names of many species, but didn’t do so for the Canada jay and a couple of others. “Grey jay” was simple and non-specific. However, after 1957, subspecies would no longer be referred to by distinct common names. The AOU could have restored the grey jay’s Canadian moniker, but didn’t, in contravention of its own guidelines. Strickland detailed his research in an article in Ontario Birds, the journal of the Ontario Field Ornithologists, titled “How the Canada jay lost its name and why it matters.” With the encouragement of others, Strickland then wrote a formal proposal to the recently-formed AOS, asking them to restore the name Canada jay. Earlier this year, the AOS voted overwhelmingly in favour of the proposal, announcing their decision on Twitter before issuing an official statement last week. The new name will be added to the latest AOS checklist in the July edition of their journal The Auk. And the change may take flight internationally: the International Ornithological Congress will likely follow the AOS’ lead, says Frank Gill, a managing editor of the IOC World Bird List. Strickland’s dedication has been met with admiration from the ornithological community, including long-time collaborator Ryan Norris, an associate professor in the department of integrative biology at the University of Guelph, who also added his name to Strickland’s proposal. Strickland and Norris hope too that the move will serve as an impetus for the federal government to formally recognize the Canada jay as Canada’s national bird. Canada doesn’t currently have a national bird. 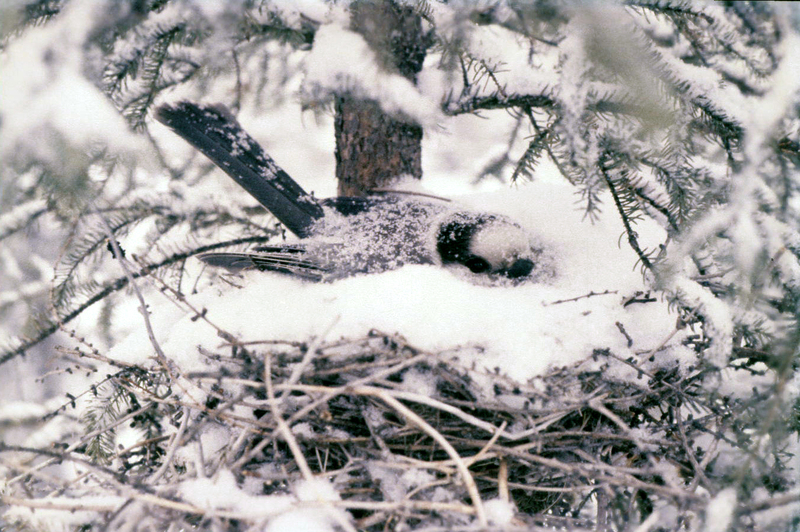 The Canada jay is found in every province and territory. It not only toughs out the freezing conditions of the Canadian winter, but breeds then, building nests while there might still be three metres of snow on the ground. The Canada jay is also known for being curious, intelligent and friendly. In stories long told by the Cree and Anishinaabe peoples, the bird appears as a trickster and shape-shifter, teaching humanity lessons about courage and resilience. “Explorers, fur traders, people who camp in the bush now — from coast to coast, they know the Canada jay by personality if not by name,” says Strickland.